In particular, the hunters will fully appreciate its multiple performances: its use can also be extended to their dogs in case of viper’s bites, that not rarely lead to the death of the affected animal. The venomous snakes bites generally leave, on the hit part, a wound with two symmetrical holes, which is caused by the venomous teeth. The instrument’s electrodes have to be put on the wounds, giving a first discharge. Then, applying an electrode on one of the two wounds, proceed circularly giving from 3 to 7 discharges. In the same way, repeat the process on the second wound, thus treating the whole interested area. 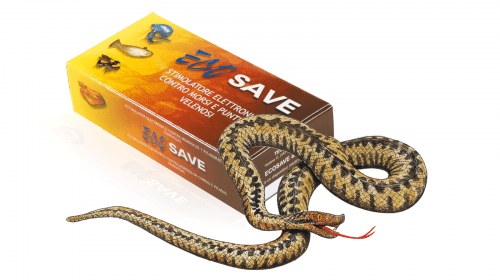 Ecosave is effective against vipers bites, when the venom acts locally as hemocytotoxic agent. Ecosave’s action is not effective against neurotoxic venom that is transmitted through nerve fibers, as the bites by cobras or other animals. Bumble-bees, bees, wasps, arachnidan, fishes and jellyfishes. The hymenoptera and other animals’ bites can be very dangerous, and must not be underestimated. Before using ECOSAVE examine the affected area and if the sting has remained into the skin, remove it or remove any other remainder of spines or tentacles. Put the instrument’s electrode on the sting, and apply it on the sting, proceed circularly giving from 3 to 7 discharges. 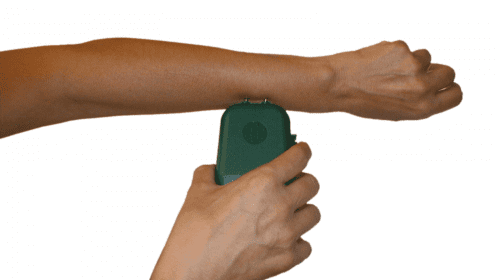 If the affected subject is assisted rapidly, the electric stimulation can reduce the local symptoms in a few minutes – pain, stinging, flush, swelling – consequences of the venom introduced under skin. 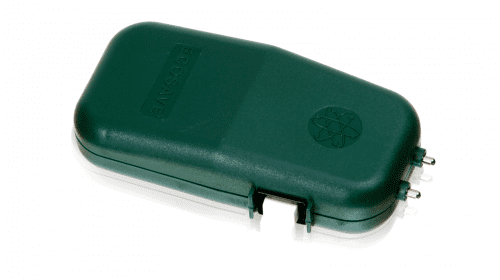 Ecosave is an emergency instrument. In the most serious cases (allergic people or snake bites) after the treatment refer to a doctor or to a hospital. The electrical stimulation’s validity has been and is being object of studies, elaborations and experimentations by American and European researchers. Between the various scientific publications, the influential medical journal “The Lancet” has discussed the topic on several occasions. IMPORTANT: the treatment with ECOSAVE must be done at the proper time. The more is the time elapsed between the bite or the sting and the treatment, progressively less will be ECOSAVE’s efficacy. • Ecosave can be used in adults and in children starting from six years of age. • It cannot be used on pace-maker bearers and on cardiopathic subjects. • Do not use around the eyes, mouth or other sensitive parts of the body. • Do not use after the application of insects repellent or anyhow in the proximities of flammable substances. • To prevent any infection transmission, we advise a strictly personal use of the product; when the instrument is used on more than one person, it is necessary to disinfect the product between one use and the other. • Keep out from the reach of children. • Battery’ s life (if alkaline): about 1.200 shocks. It’s hardly recommended to remove the battery if you foreseen not to use the device for a long period. Please verify that the device battery works properly before any excursion or in case of fall, by pushing the button and producing a trial discharge in the air. “electric shock treatment for snake bite” – 6/5/89 pag. 1022. “Vipere ed altri serpenti italiani” di Abram e Menegon, Siste Edizioni. Ready carefully instructions before using.